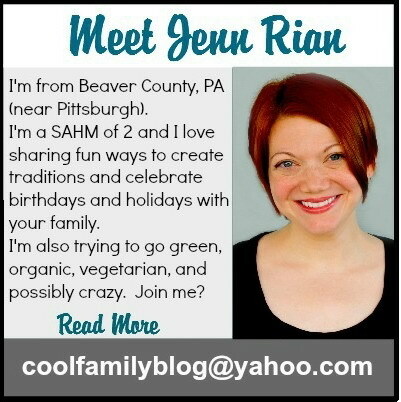 Why “Coolest Family on the Block”? I filmed the creative process of making “The Adaline Flower” with a 4.5 year old. Watch and be amazed! It was tough to reign in Adaline’s creativity. She LOVES art and wanted to draw all over the Valentine but she needed to keep it blank so that her classmates could sign it. I have a feeling her friends are going to end up with quite a few drawings of hers on their Valentines. The pom pom ladybug was Adaline’s favorite part. We used a black Sharpie marker to make dots on a pink pom pom, used a smaller black pom pom for the head, added googly eyes and adhered it all using craft glue. Adaline drew wings and legs around it onto the poster board. Valentine’s or one classroom Valentine? May 11-17, 2014 is National Police Week! National Tell a Police Officer Thank You Day is in September! Here are some great police crafts and activities you can do with the kids! These crafts are great for preschools and schools to use when learning about community heros and helpers. Policeman pompom craft and free sheriff badge template. Police Hat using a visor, construction paper, pencil, scissors, tape and glue. Police Notepad using construction paper, white letter paper, pipe cleaner, black marker and scissors. Visit the ATV garage and learn how to make this fun toy police car. Scroll down for Police theme! How does your family honor police officers throughout the year? was on June 5th 1783. This blog is copyright protected. 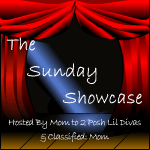 You may use images and an excerpt from my blog only if you link back to the original post here at Coolest Family on the Block. Do not alter the photos or remove the url or watermark. Please do not use any pictures of my children without my permission. Thank you. 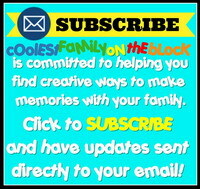 Enter your email address to subscribe to "Coolest Family on the Block" blog and receive notifications of new posts by email.